This is an internship-style course, where you participate in the daily life of a busy dive shop. The course includes skill development both in confined and open water to the level that you can demonstrate them to others. 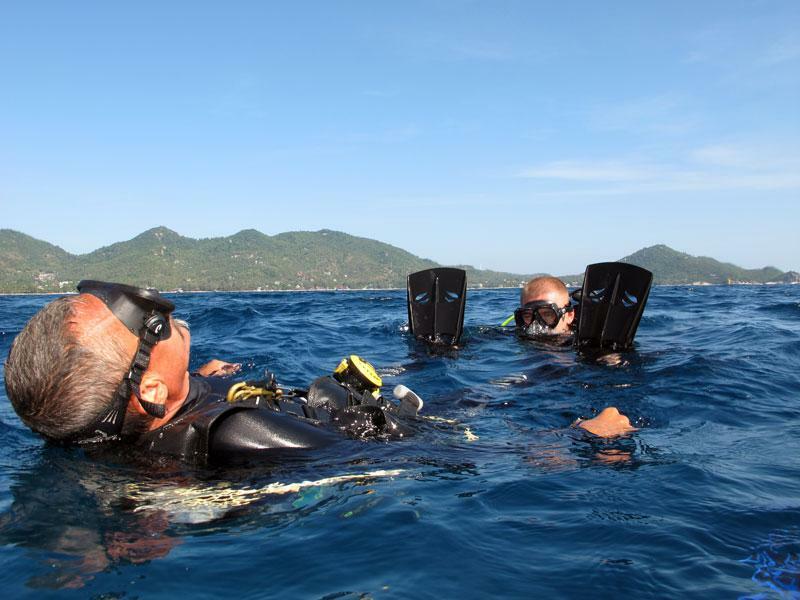 Your training will also cover the safety aspects of being a dive leader, and you will learn how to best take care of your customers in a variety of conditions. You will work with our instructors and to learn from their teaching styles and briefings. Depending on your starting level, we will customise the course to your needs. 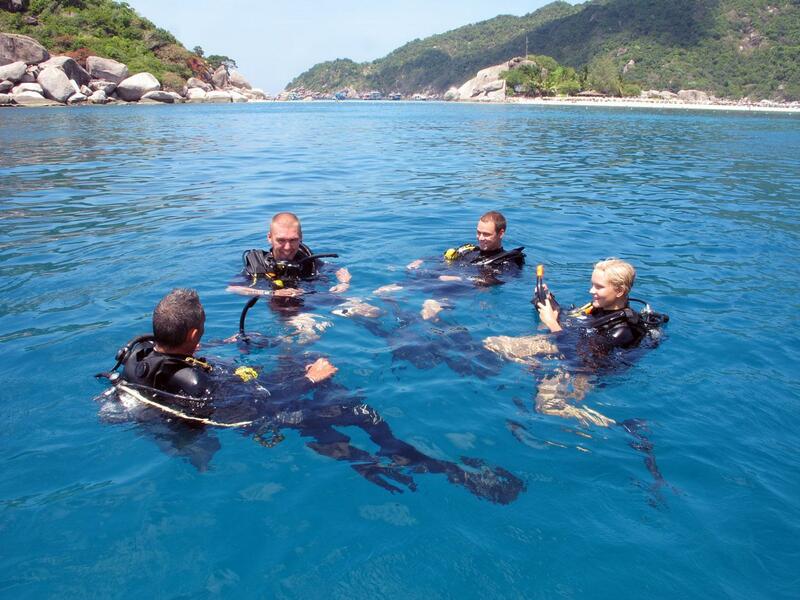 In order to be certified as a Divemaster, you need to have completed Stress & Rescue, hold a current first aid certificate with the ability to administer emergency oxygen, have at least 50 logged dives, and completed the Dive Guide programme. We recommend to reserve anywhere between 4 and 8 weeks for this programme in order to have plenty of time to complete all requirements and to gain experience. We offer a 10% discount to all our professional level students, so if in doubt, you can get your equipment once you get to the island. 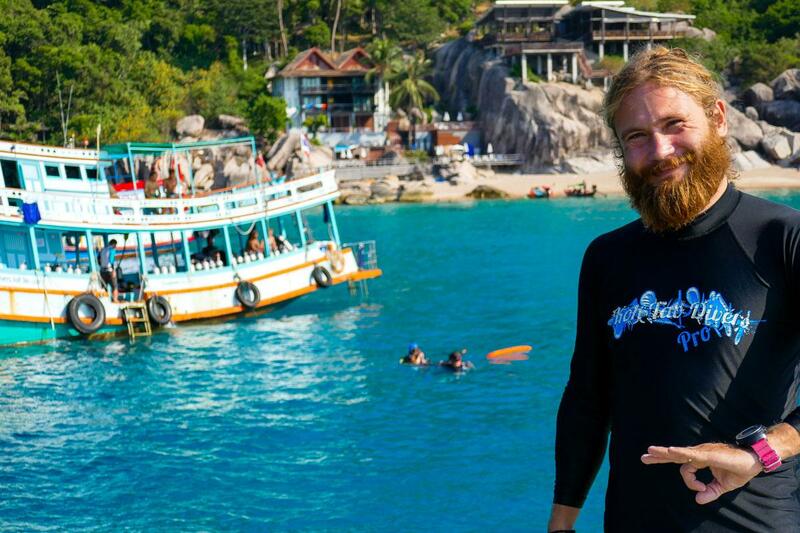 Become Pro with Koh Tao Divers!